There is something so timeless and so simple about this exhortation, and the truth it contains is so powerful! Think for a minute of when Peter asked Jesus to bid him, “Come” (If it was indeed his Lord standing before him on the water.) With one word, Peter left the safety and comfort of the boat, and stepped out onto the water to follow the lead of Jesus. Really imagine this in your mind’s eye! That first step out of the boat must have been full of faith and trust! This is evidenced by the fact that within the water was a solid force that Peter was able to put his full weight on without sinking! He was walking on the water doing what Jesus did! If Jesus said, “Come,” Peter was going to come! What was Peter looking at when such faith rose in his heart? He was looking at his Lord. He was looking at Jesus – the one who told him to let down his nets for a catch when he had toiled all night and failed to catch a thing; the one who rebuked his mother-in-law’s fever, and the fever left; the one who healed the sick, raised the dead, confounded the religious leaders and taught with unearthly authority! Jesus said, “COME.” Peter simply obeyed. We all know the story well. Peter began to look at the wind and waves. Fear instantly vied for a place in Peter’s heart, doing all it could to displace the faith found there. Peter began to turn loose of the revelation of his Lord’s love (which could have cast that fear right out), and he got a quick revelation of cold, hard (and wet) reality – he was sinking! I love the next word. It gives me insight into my Lord’s heart for me. It helps me to remember that Jesus is merciful and kind. It gives me hope for when I fail to keep fear from coming into my heart – “IMMEDIATELY Jesus extended His hand and caught him [Peter].” Yes, he rebuked Peter for having little faith, but I’d rather be the wet brother that got rebuked for my little faith than the dry brother that had no faith at all! Here’s the thing my friends, Jesus is always, ALWAYS inviting us to come – to come out further, to wade in deeper, to trust in greater measure. He invites us to a life of faith adventures! He invites us to follow Him wherever He leads. We are not promised an easy life, but we are guaranteed victory in every faith fight! When the wind and waves in your life start to speak to you, turn your eyes upon Jesus! That is the answer! When you look at God – eternal, mighty, king of kings, lover of your soul, redeemer, healer and friend – all of the turmoil and chaos of this world will begin to fade, and your perspective will change. You’ll stop feeling like your drowning, and you will begin to rise above it all. IN CHRIST we are always victorious! When you look to Him, He will show you everything you need to see, and nothing you don’t! He will keep you in perfect peace, and His perfect love will cast out that fear. That’s when you can get sassy and talk back to the wind and waves. That’s when you can act like Jesus and say in faith, “Peace. Be still.” Hallelujah! 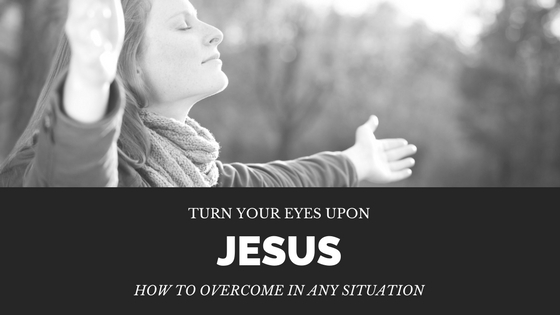 Turn your eyes upon Jesus today. Remember who you are, and whose you are. Rise above the wind and waves. Answer the invitation of your Lord to “Come” & you will soon know the exhilaration of walking on the water!! 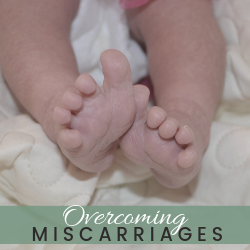 Are you overwhelmed by the circumstances that you find yourself in? Are you stuck in sadness, self-pity or depression? Do you want someone to show you the way to victory? 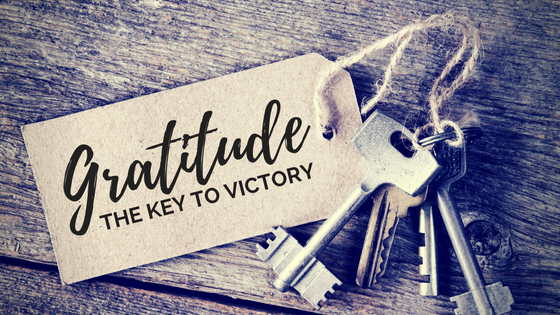 What if I told you a simple truth; that gratitude is the key to having victory in your circumstances. Not long ago our pastor did an amazing, life-changing teaching series called Thanksgiving Victory. I’ll never forget the impact it had on me as I considered what God had to say about being thankful, and in contrast, what He had to say about self-pity. Now, any time my thoughts and emotions start to move me in the direction of sorrow or self-pity I am quick to rehearse my blessings. The truth is that we can all easily take for granted the good in our lives, and focus on the “bad.” As humans we tend to magnify problems. We focus intense amounts of energy on thinking about those problems, and those thoughts are expressed in our lives through worry, fear, anxiety, sorrow, anger and general STRESS. 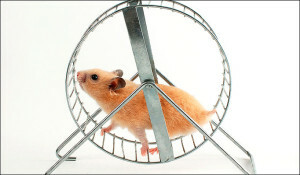 Like a hamster on a wheel, those thoughts run and run and get us nowhere! 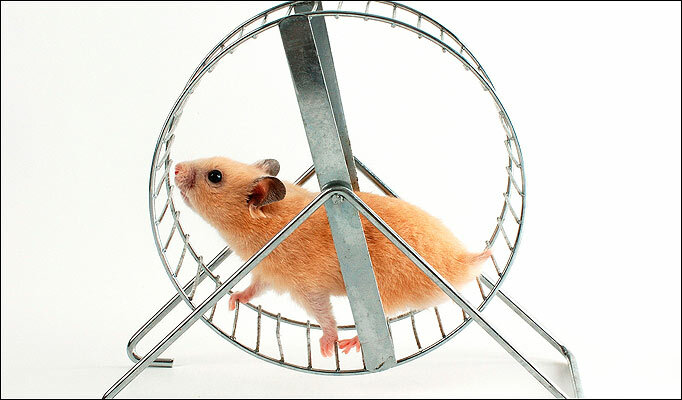 The problems aren’t resolved, the circumstances haven’t changed, and we have only succeeded in “spinning our wheels in the mud” and getting more stuck than before. The danger is when we entertain self-pity. The belief is that our circumstances are somehow more difficult than everyone else’s. Our problem is unique, and the pain far greater than what anyone else is experiencing. It is unfair and we are entitled to be experiencing something better (like everyone else)! Here is why it is so dangerous to think this way: you make it impossible for God to extend grace to you. Why? You feel you deserve it! Grace, by its very definition, is undeserved. It is favor that is given, not because it is owed, but because of the loving kindness of the one who extends it. When you wallow in self-pity and depression you are absolutely cutting yourself off from the grace of God which is the ONLY thing that is going to affect REAL change in the circumstances you are so depressed over! So what is the answer? Gratitude. Gratitude expressed in giving thanks for all the GOOD in your life! If you are reading this and scoffing at the narrow-minded simplicity of this solution in the face of your “very real” problems then you are exactly the person this message is for! Truth will set you free, but it does leave some feeling offended. Jesus set a lot of people free AND He simultaneously offended a lot of people. You can’t control every circumstance that surrounds you. You live in a fallen, cursed world where people have a free will to do all kinds of things that aren’t the will of God or the plan of God. Sometimes their free will infiltrates your world and the result is bad things happening to “good” people. You can’t control every circumstance around you, but YOU CAN control how you choose to respond! You can stand right now, lift your hands and your heart to God and say THANK YOU LORD that I’m alive! Are you healthy? Thank God! Do you have a roof over your head and clothes on your body? Thank God! Do you have food to eat today? Thank God! Do you have an income? Thank God! Do you have friends that love you? Thank God! 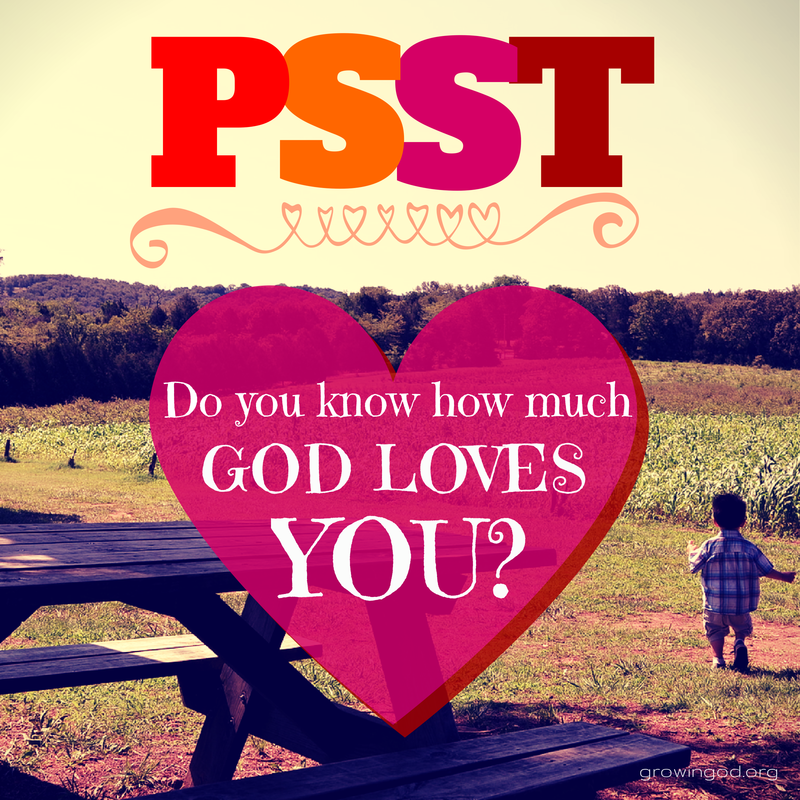 Do you have a God that loves you and is for you? Thank Him! Are your children healthy? Thank Him! Is your car running? Thank Him! As you begin to SAY, out loud, all that you are thankful for, as you rehearse how blessed you are, as you declare God’s goodness and faithfulness in the midst of even the WORST circumstances, you give God permission to release His favor and grace in the situation! So do it! Right now where you are. Be grateful! Be thankful! Rehearse your blessings, and continue to do it daily! Then stand back and watch how God brings you out of the pit and into victory! Sipping coffee on a cool February morning and thinking about how quickly time passes…. As we think on how many days we have, or number our days as the Bible puts it, we realize that it does prompt a response from us to “apply our hearts unto wisdom.” We need wisdom in order to make the most of every day. I’m sure you can identify when I say I want to live life well, to cherish and value what really matters, and to give God my ALL – to be whole-hearted toward Him. 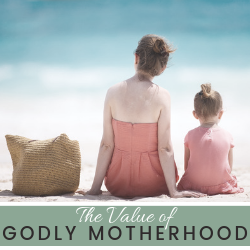 I’ve recently talked a lot with my husband about these things – about our family, God’s plan for us, our future, what to make priority, how to live this year – and every year – with INTENTION. As we have been talking and meditating on this, God brought up some things in my heart, and I hope they can be a blessing to you as well. Seasons, seasons, seasons of life. 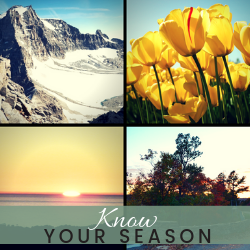 You’ve got to know what season you are in and BE THERE. Be the best you in your present season that you can be. Don’t be constantly trying to get to the next season. There is something about being too “future me” minded that robs you of “present me” joy & contentment. Paul learned in whatever state he was in not to be content WITH the situation, but to be content IN the situation. We all desire to “be more.” We all know that there are greater levels of potential to be discovered, that there are places of greater development and maturity in Christ; yet, we can fall into the “I’m not yet where I want to be” trap that keeps us frustrated and sometimes disappointed with where we presently are. Looking forward, looking at the mark for the prize of the high calling of God in Christ Jesus, and tenaciously laying hold of it like a bull dog with a bone – this is how we develop into the fullness, the FULL LIFE of God. Yet we must remember in our passionate drive to DO more for God, He did not just call us to DO, He also called us to BE. We must learn to BE as much present minded as we are future minded; otherwise, in our quest to finally “arrive” at our ultimate place and final destination we can miss the absolute beauty of every step we took to get there. Love your steps! Rejoice in your steps! Dance before the Lord in your steps! Every step counts. Every step makes up the journey, and every season makes up the life. LIVE in your season! OWN your season! Whether it’s finishing school, or being a stay at home mom, or taking a new job, or moving to a new city, or being a wife, or starting a ministry! God is not disappointed with you because you haven’t yet “arrived.” My gosh, He is FOR US! He is WITH US! He is our biggest cheerleader! He is the one giving you the grace to do this thing! We as parents find so much joy, and we are so pleased in seeing our children develop. Every season of their development is precious – not just the end of their days. How much more does God, our Heavenly Father, find joy in seeing us develop through every season of life!? 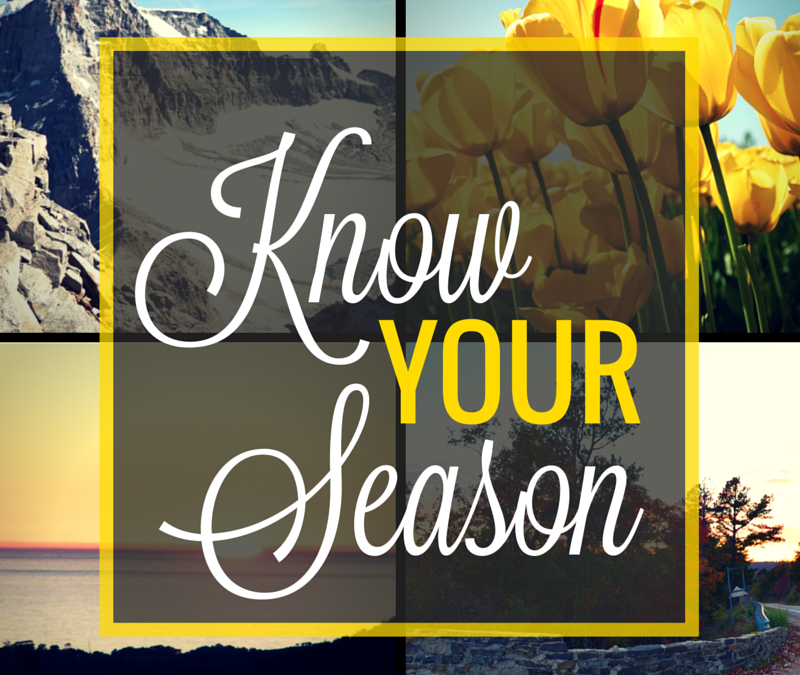 In all of our thoughts and prayers about making the most of our days, I believe God wants us to apply this wisdom to our hearts: Know your season and BE THERE. Give God your all each and every day, with each and every step. You can cast the vision, you can write it down and make it plain, you can talk about your future and God’s plan for your family; but, the only way you will see the future vision come to pass in your life is to wake up to your present reality every day, and make a decision to live – really LIVE – in that moment with joy & thanksgiving in your heart, doing what God has called you to do, in the place He has called you to be TODAY. Lord, I lift up whoever is reading this now and I pray that their spiritual eyes would be enlightened to this truth. I pray that it would bring a renewed sense of joy & satisfaction to their present season. I pray that they would see the good stuff in the hard stuff, and that they would mine, and dig up the gold – the precious treasure – in their PRESENT situation. I pray that you would help each one to know their present season. Help them to live in that season, choose to own it, and choose to rejoice in it as they move toward the future that you have for them. What a glorious future that is! I ask these things in the mighty name of JESUS! YOU are uniquely designed for a God-given purpose & destiny. There is no doubt about it. There is no other person exactly like you in this universe. So why do we compare ourselves, belittle our gifts, talents and abilities, and come to the conclusion that what we have to offer would be insignificant or trivial at best? My friends, there is an enemy, Satan, that seeks to steal, kill and destroy your life. If he can’t get you to quit, he will seek to render you powerless by convincing you of the LIE that you are insignificant, that what you have to offer the body of Christ is of no value – or of very little value, and that your voice, your gifts, your talents, your dreams are better off remaining small, limited and underdeveloped; after all, it is the safer path to take. No risk, no looking like a fool. HEY! Do you know that we don’t have the luxury of thinking like this!? Consider the parable of the talents found in Matthew 25. When the master came to the servant who buried and hid what he had entrusted to him (because of fear); he did not say, “Well done, good and faithful servant.” On the contrary, the words “wicked and lazy servant” were pronounced from the master! GOD has placed something inside of us that the world needs, that the body of Christ needs! He expects us to take what He has placed within us, yield to His great grace, and allow Him to work in us and through us to effect change in our sphere of influence! He expects a multiplication of what He has entrusted to us! Are you a musician? A writer? Are you gifted in business or sports? Are you graced in communication or administration? Has God called you to preach or pastor? Are you a visionary or a pioneer? Do you work well with your hands – building, and fixing and maintaining? Or maybe acting, dancing, painting, or creating are your thing. DO NOT hide your gift. DO NOT belittle the grace that has been placed within you. DO NOT yield to fear over what others may think; how about what GOD thinks!? Come on people! 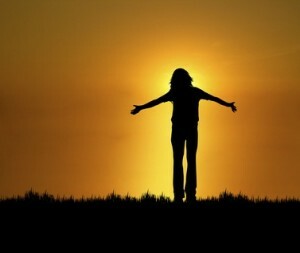 Let’s break free from the lies that bind us, and believe the truth that makes us free! There is so much inside of you! There is so much good, so much beauty, so much talent, so much ability – so much POTENTIAL! BELIEVE that the good work that God has begun in you, HE will be faithful to complete. Let’s be a people that reject small thinking and safe, comfortable Christianity! Let’s be a people that hear from God and take risks – that fully trust in His enabling power to carry us through every assignment He gives us! 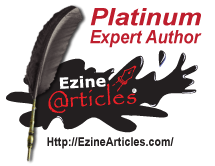 I am just so zealous inside, in this season of my life, to encourage & exhort, to draw out and cause others to believe that they are valued and that they really do MATTER! There is a great work to be done in these last days. God needs all hands on deck. Forget what others think. Forget about your reputation. Forget about being a people pleaser. Forget about comparison. BE YOU! 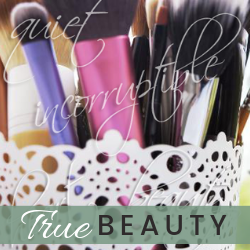 Beautiful, uniquely designed, uniquely graced, uniquely gifted, amazing, fearfully and wonderfully made YOU! Be the best version of yourself you can be right now, and like pure gold, you will continue to be more and more refined with each season that you walk through. I, for one, am tired of allowing the enemy to keep me from doing what God has called me to do. 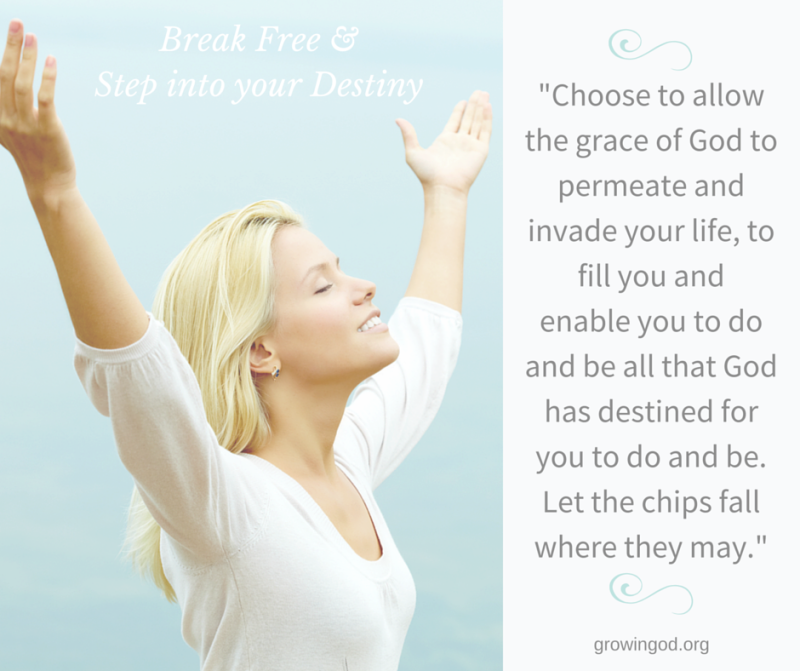 I choose to allow the grace of God to permeate and invade my life, to fill me and enable me to do and be all that God has destined for me. Let the chips fall where they may; and listen, it’s about other people! Get over yourself and get into God. This has never been about you. It has never been about me. It’s about people – especially those that don’t know Him. So shine your light dear one. Be bold. Be brave. Take risks. At the end of your days it won’t be the things you stepped out in faith to do that cause regret, it will be the things you never even tried to do – the potential you never developed, the lives you were too afraid to impact. Choose to live a life worthy of your salvation. I love you. I believe in you. I pray this has blessed you and planted a good seed in your heart that bears fruit in time to come. So I have been in hibernation the last few weeks because I ran smack dab into the middle of God’s love, and I haven’t wanted to do anything but soak up what He was so eagerly waiting to pour out on me! I am telling you my friends, when you get a revelation of how much God loves you, you will never be the same! I have been walking with the Lord for about 15 years now, and I have known in times past the love that God has for me. I have seen His mercy and grace in my life, and I have received so many beautiful truths that have made me more and more free. Yet Paul prayed in Ephesians that we would know the width, and length, and depth, and height of the love of Christ which surpasses knowledge! God’s love for us is so fierce, so passionate, so unfailing, and so unwilling to quit on us that it is almost incomprehensible! The Apostle John said that there is no fear in love, but that perfect love actually casts out fear. When you, as a child of God, begin to KNOW the love that God has for you, you will become one of the most confident, secure and stable people in the world. You will also be empowered to do the one thing Christ commanded us to do: love others as He has loved us. What God has freely given you, you can freely give to others, and it is by THIS LOVE that all men will know that we are His disciples. What does our broken, hurt, pain-filled world need so desperately from us as Christians? They need to see Christ in us. The Christ that ate with tax collectors and sinners. The Christ that loved a broken woman who was caught in the “very act” of adultery. The Christ that knew about the messy, dirty, ungodly lives people were trapped in, and invaded their world with a love that compelled them to be near Him, to listen to what He had to say. Let me ask you this: Have you ever seen what was broken in someone else’s life and tried to fix it by teaching them what was wrong, and how it could be made right? Have you delivered this wisdom to people uninvited? Have you ever judged the lives of others, and held them to the standards you hold yourself to – even though you KNOW GOD and they don’t? Friends, God has given me a revelation that the one thing that people are longing for more than anything is HIS LOVE. How will they know His love except through His people? When we try to “fix people” with our good intentions we often end up driving them further away from God, and further away from the one thing that can really change them. And do you know what is happening? I see people who are lost, and instead of passing judgment, I think, “They need to know this love! Do they know how much God loves them, or are they drowning in condemnation, shame and guilt – thinking that His love is only for ‘good people’ that go to church and make all of the right choices?” If people could know the love that God has for them, and BELIEVE it – they would be forever changed! How about you? Do you believe in the love God has for you? Do you fall into the trap of performance to try to earn what was freely given to you at the cross? Do you beat yourself up with condemnation when you feel you fall short of what a Christian is supposed to be like? Short on faith. Short on study & prayer. Short on church attendance. Faith & prayer & church attendance are good and right, but they don’t earn you any points with God. They don’t make Him love you more or love you less. When you stop trying to qualify for God’s love, you will free others from having to qualify for your love. When you realize you did not, and can not do anything to earn God’s love, you won’t expect others to earn yours. When you receive it as a free gift, you can give it as a free gift. You can then truly love others as Christ has loved you. I encourage you and challenge you to spend time with God this week – just to let Him love you! If you know someone who needs to remember how much He loves them, please share!